A. Mediation is a form of alternative dispute resolution where a mediator works as a moderator, at a nonbinding settlement conference, attempting to get both sides to agree to a settlement when the parties have been previously unsuccessful with settlement attempts. 2 What Happens at Mediation? 3 Why Can Mediation Work When Settlement Efforts Have Not? 4 Why Would an Insurance Company or I Consider Mediation? 5 What Is the Difference between Mediation and Arbitration? 7 How Often Are Cases Settled at Mediation? We prefer to take our cases to trial but when an insurance company requests to mediate a case instead of going to trial, we will agree to mediate with our own unique rule designed to avoid wasting everyone’s time. We will agree to the mediation if the defense insurance company pays for both the plaintiff and defense mediation fees (approx. $500-$1,000 each) if the case is not settled and we pay both plaintiff and defense mediation fees if the case is settled. At the mediation, both sides argue their case to a mediator who initially speaks with both sides at the same time and then separately and tries to bring both sides to a settlement. While a non-interested attorney can be a mediator, we only do mediation with a retired Supreme Court judge. Why Can Mediation Work When Settlement Efforts Have Not? The reason that an accident case can be settled at mediation when it could not be settled before is that it’s difficult for one side to convince the other side of their argument. 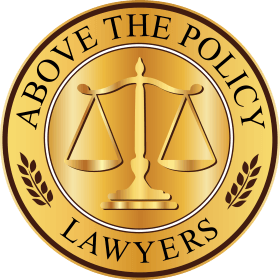 Insurance companies often look at a personal injury lawyer as being biased when valuing an injury case. However, the suspicion of bias is removed when negotiating with a retired Supreme Court judge. Why Would an Insurance Company or I Consider Mediation? The insurance company has to agree to mediation but they usually agree to mediate because there is no downside to mediation, except everyone’s time at the mediation. The difference between mediation and arbitration is an agreed settlement versus a final decision. There is no award or decision at a mediation. If you do not agree to accept the insurance company offer, you do not have to settle. Likewise, the insurance company does not have to agree to accept our demand or the amount of money the judge recommends they pay. At mediation, if both parties don’t agree to settle, your case continues towards trial. At arbitration, a final decision will be awarded in your case will be finished. Mediation can shorten your case by years. A deposition and physical exam by the defense is usually not required prior to mediation. Mediation usually takes one hour while a trial usually takes two weeks. After experiencing two weeks of stress at trial, clients usually say they never want to do that again. Mediation can save you $15,000-$25,000 in trial expenses which are paid back from the money you receive. We only mediate using retired Supreme Court judges who know accident cases and their values better than anyone. After the trial, juries often award too much or too little. When they award too much, the amount is usually reduced by the trial judge, reduced on appeal, or settled for much less after appealing. If your case goes to appeal, it will be decided by three judges instead of a jury and your legal fees can go to 50%. Mediation is NOT binding and NOT final. How Often Are Cases Settled at Mediation? We have settled approximately 50% of our cases which have gone to mediation. Sometimes, the cases which do not settle at mediation may settle within a month or two after the mediation because of the discussions held at the mediation. The cases which do not settle go to trial. At one of our mediations, the insurance company paid the entire fee when they refused to offer more than $150,000 for our client’s concussion. Our demand was $1,250,000. We walked out of the mediation without settling. At trial, the jury verdict was $1 million. Mediation can be good for any accident case even for serious injury and large catastrophic injury cases because you don’t have to accept the settlement offer. We usually use one of the retired Supreme Court judges at National Arbitration and Mediation which has many seven-figure settlements with some as high as $17,900,000.